NO exercise is easy, and the Press UP is one of those exercises that people can find very difficult. The idea of pushing up your whole bodyweight is a scary notion for so many people. 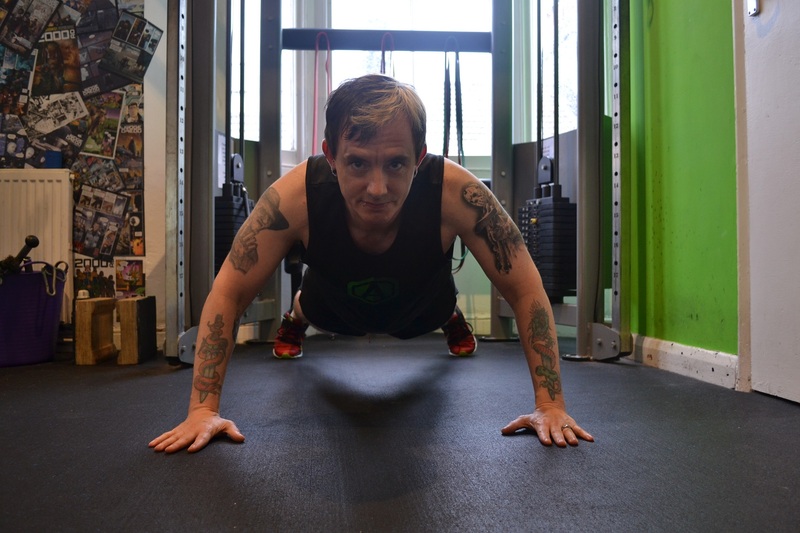 If you are one of those people that can push up their whole bodyweight, well done you, this post is not for you. There are Personal Trainers out there that will ask you to attempt a press up on your first session with them, a press up is a good indication of your strength. Personally, I wouldn’t ask someone to do something they aren’t comfortable with, though I would see it as a challenge to build your strength and confidence to attempt a Press Up in the future. To start from the beginning I would suggest starting with a Standing Press up. 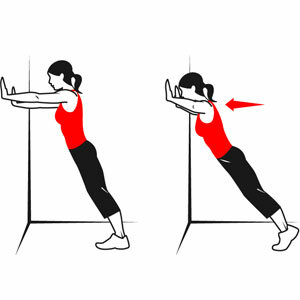 Standing at arm’s length from the wall and doing leaning pushups is a good way to start. As you continue the exercise, move your feet farther away from the wall. The weight transfer works your arms, shoulder and chest harder, building added strength and better muscle definition. Aim for 10 repetitions, once completed your 10, rest for 15- 30 seconds and attempt another 10, rest 1 last time and attempt your final set. If you are able to complete all 30 you may be ready to attempt the next level of press up. Your upper body should shift slightly forward as you descend. Your arm will form a 90-degree angle as you lower down from plank position. Do: Move your shoulders beyond your wrists as you lower down. Your hands should end up next to your ribs (chest area) and your forearms should be perpendicular to the ground. Then push yourself back up to your starting position, aim to do 10 repetitions, once completed your 10 repetitions rest. Don’t worry if you can’t manage all 10, go back to standing press ups to finish your 10, try to complete 3 sets. When you are able to complete all 3 sets it will be time to attempt a full press up. With your arms straight, your shoulders should be over your wrists and your hips should be over your knees. Bend your elbows and lower your upper body slowly to the ground. When your nose reaches the floor (this is a good indication that you are going low enough), press up with your arms and return to the starting position, if you manage to return to starting position you have achieved a press up. Now you have to attempt another 9 to complete your set, go to your knees if you find it tough. What we want to achieve is progression, give yourself a goal, follow it through.